Inside São Paulo: BB King will be playing in Sao Paulo on March 19th and 20th. BB King will be playing in Sao Paulo on March 19th and 20th. BB King will be playing in São Paulo next weekend. The concert will be host at Via Funchal through his international tour on March 19th and 20th. 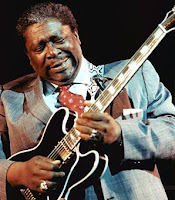 BB King celebrates his success and almost 85 years old of life with a new tour, displaying his talent with the same good humor and enthusiasm that highlighted his entire career, since he was born as "Riley B. King" on September 16th, 1925 in a farm near Indianola, Mississippi, Southern U.S.